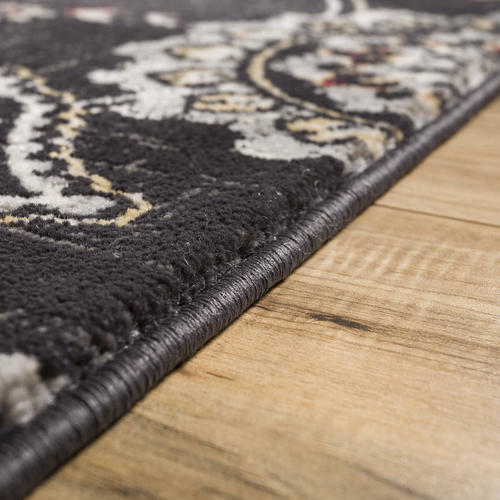 Well Woven Luxbury Charcoal Area Rug 5'3" x 7'3"
The Luxbury Biju Area Rug mixes the timeless classics of oriental rug design with vintage looks and upscale, modern colors. Bright blues and reds complement a palette heavy in neutral tones of gray, ivory, and beige. 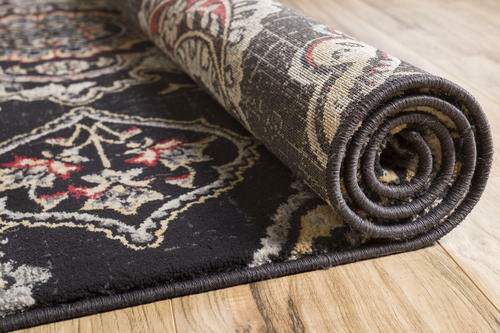 Intricately patterned and shaded designs give these rugs a faded, vintage feel, and a plush 0.5" pile of heat-set polypropylene lends class and weight. The yarn is stain resistant and doesn't shed or fade over time. 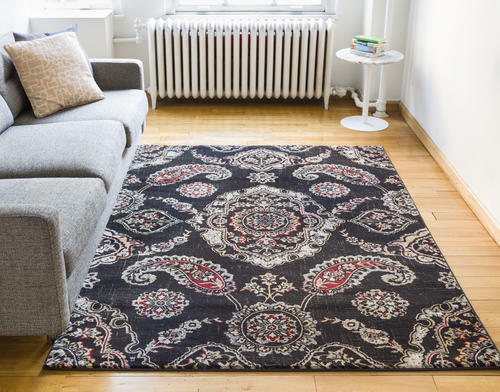 Beautiful and easy to clean, Luxbury is perfectly suited for a trendy décor and busy lifestyle. 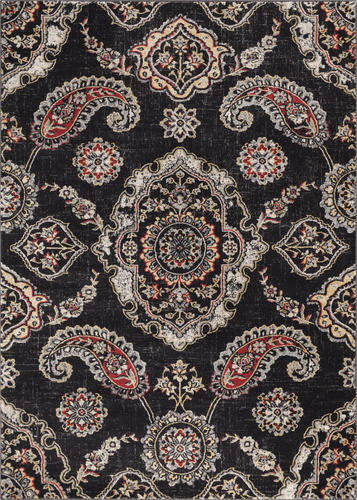 Well Woven Luxbury Charcoal Area Rug 7'10" x 10'6"